We made an overnight stop in Grand Junction with plans to visit the Colorado National Monument before heading on down to Ouray, Colorado. However, those plans got washed out with the rain that fell all afternoon and into the evening. 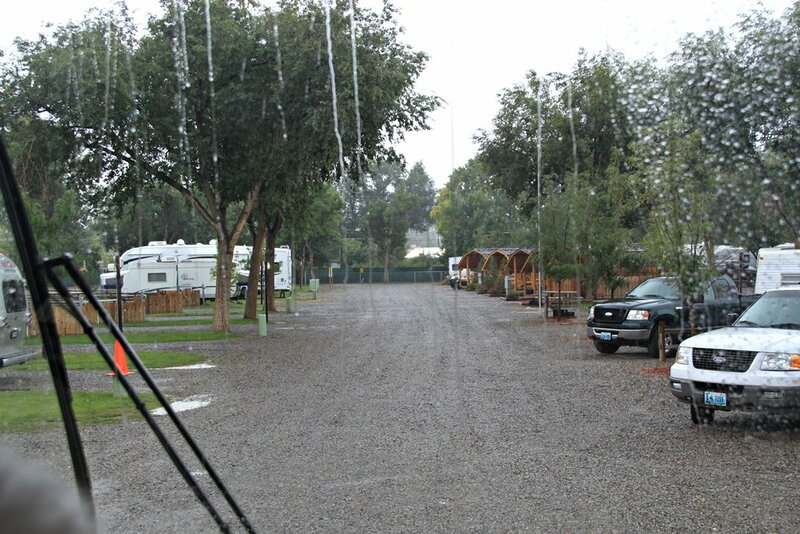 But they needed the rain much more than we needed to see the sights on this trip so we were okay with that. The rain did not impede the brewery tour, though, and Grand Junction has a couple of them. 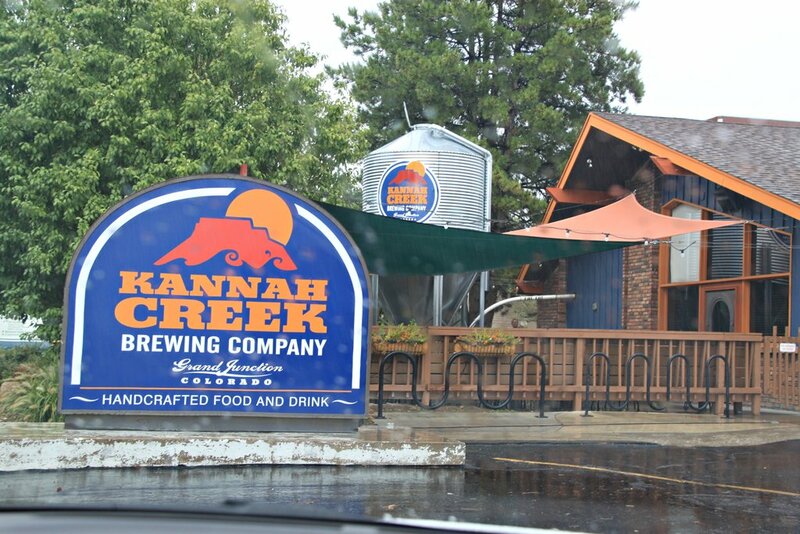 Both have food and beer so we had to make a choice of where to eat and we chose Kannah Creek Brewing because their food is pizza. They had several really good beers and Karen chose the Lands End Amber and I got the Black Ridge Stout which was on nitro. Unfortunately, though, their pizza was mediocre and it didn’t help that they failed to cook it well done as requested. 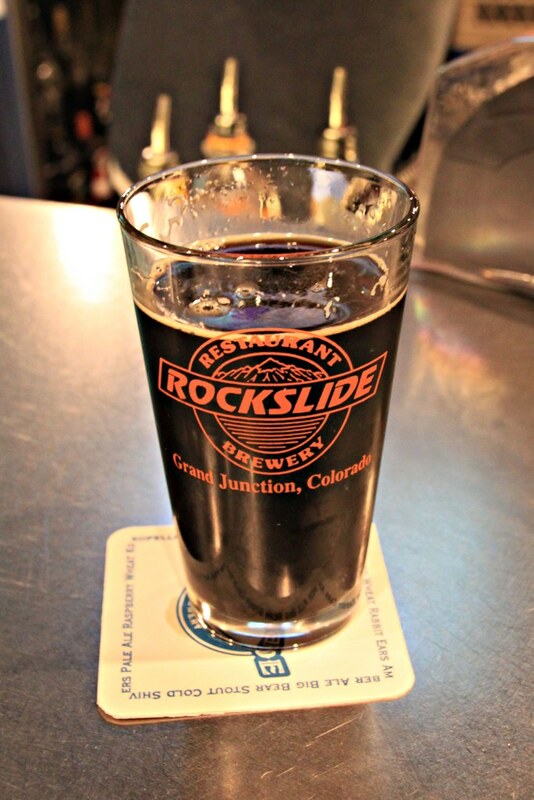 The next stop was Rockslide Brew Pub. If we had it to do over again we might have only eaten here and had beer at Kannah Creek because their beer was as mediocre as Kannah’s pizza. Again, Karen had an amber and I had a stout and although they looked different, they tasted pretty much the same. Oh well, if all breweries were good we wouldn’t need to keep trying them. This week is a vacation week for me and Monday morning we made the short but beautiful trip to Ouray. Nestled in the San Juan mountains, it is a picturesque and historic old mining town. 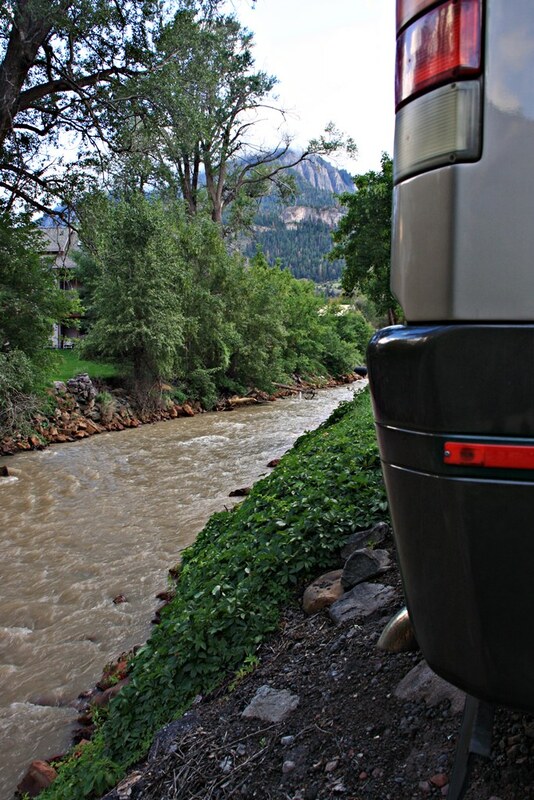 We were fortunate enough to get an RV spot right on the Uncomahgre River. And I do mean right on the river. Luckily, the forecasted flash flood warnings didn’t come to pass and we were able to enjoy the magnificent scenery, cool weather and the three area breweries! We would be here only two nights so the first order of business was a burger at Maggie’s Kitchen. And if that most excellent burger and crispy fries weren’t enough, there was a brewery that we didn’t know about right next door, the Ourayle House Brewery, aka, Mr. Grumpy Pants Brewing Company. 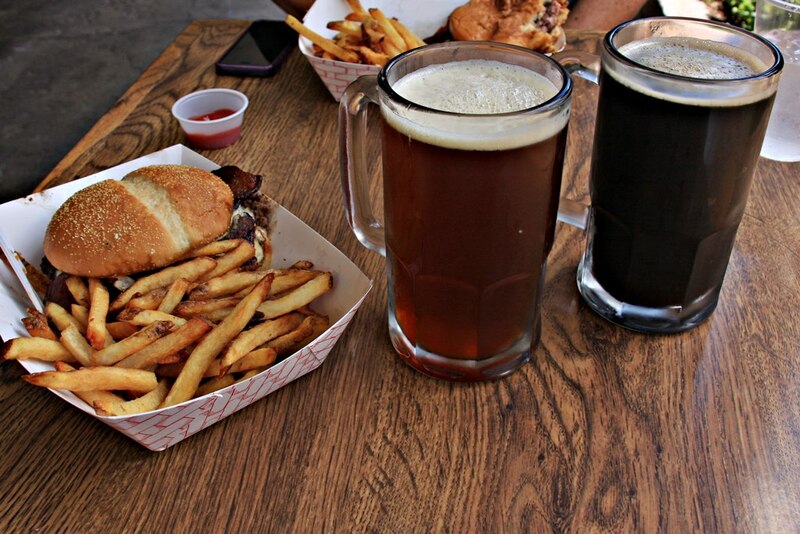 The chocolate caramel stout that Karen had and the red ale that I had were the perfect compliment to Maggie’s bacon cheeseburgers. We walked Main Street for awhile and somehow ended up at the Ouray Brewery, the one we already knew about. The beer was nothing special but the view of the town and the mountains from their third-story deck was worth the climb of the two flights of stairs to get there. The next afternoon we paid another visit to Mr. Grumpy Pants and enjoyed that delicious red ale and chocolate caramel stout once again. 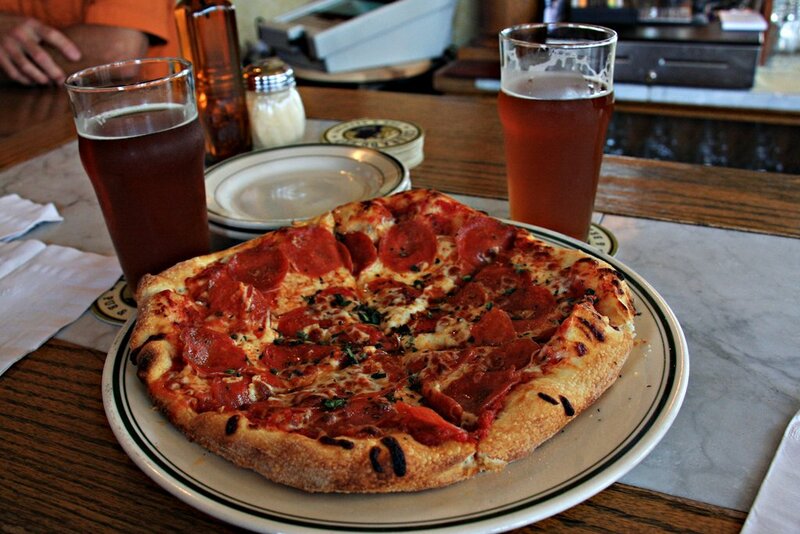 We skipped the burger at Maggie’s this time because we had our sights set on a pizza at a little brewery about ten miles north in the town of Ridgway, Colorado Boy Pub & Brewery. 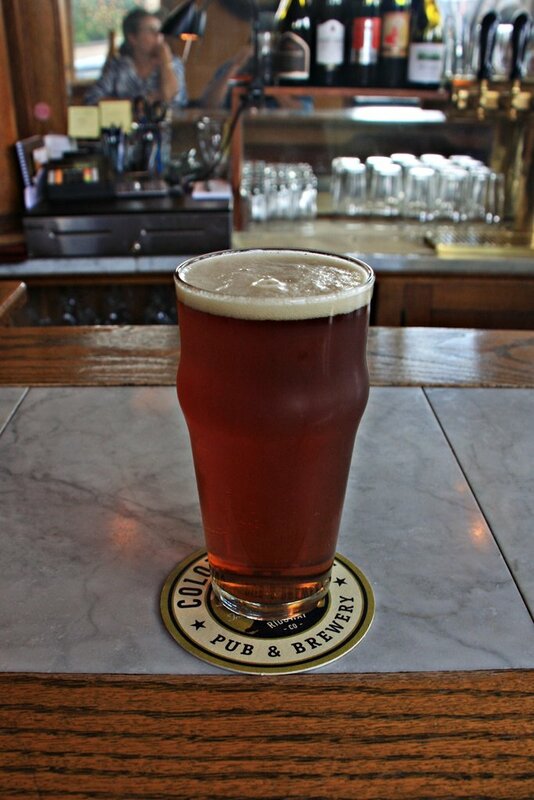 Ridgway is a small town of about 1,000 people and the pub appears to be the place to gather. We arrived when they opened at four o’clock, got a couple of seats at the bar and soon the place was full. 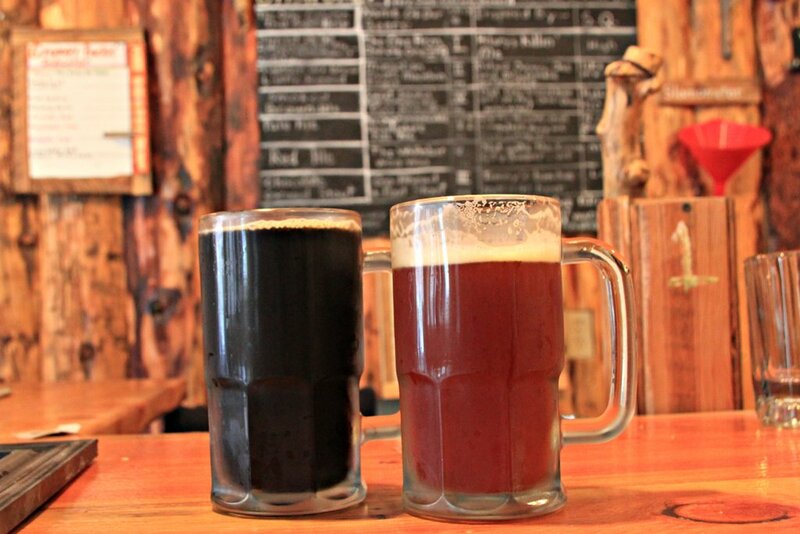 After a sample taste, Karen ordered their brown ale and I got the Irish red ale. They were both quite good and we were getting hungry so we ordered a pizza. Now this was a very good pizza. The crust had just the right crunch and the sauce, cheese and pepperoni were all very good. I ordered their Summer Ale (an ESB) to go with it and that was very good, too. 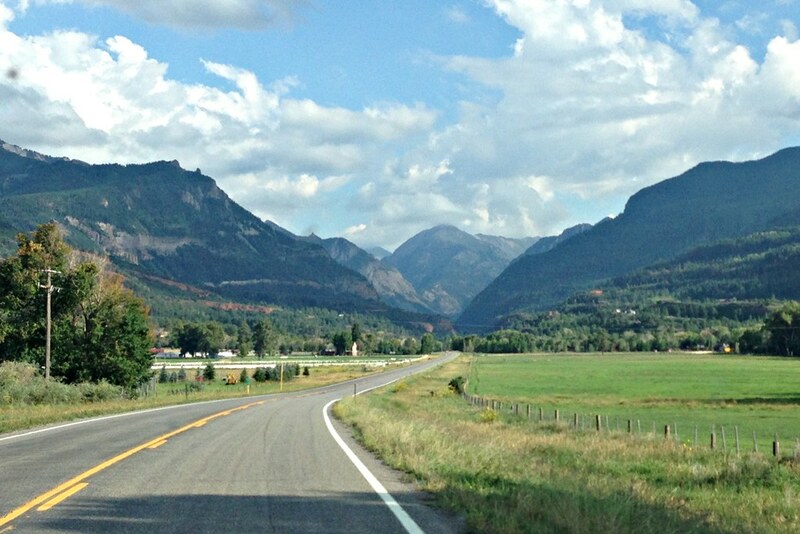 Now, the town of Ouray sits in the middle of the mountains and the views are mostly straight up, but one nice thing about Ridgway is you get an amazing view of the mountains. We think we could live here. 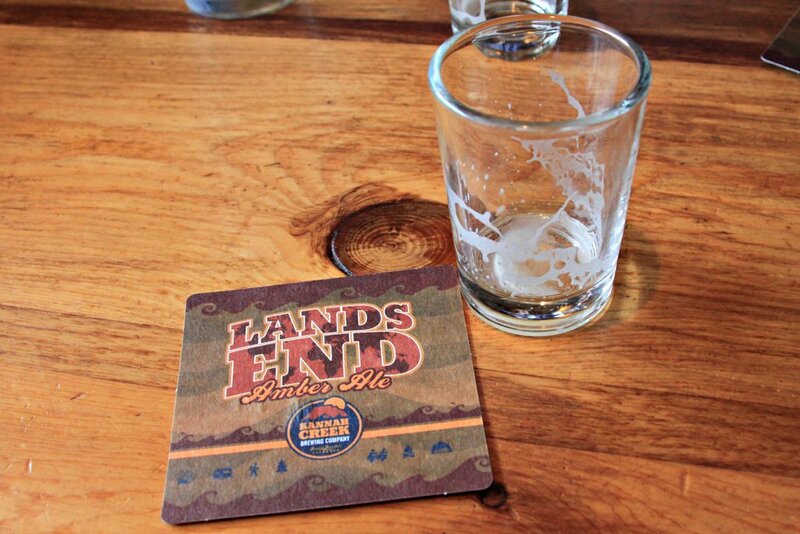 This entry was posted in Beer, Colorado, Pizza, Scenic and tagged Beer, Pizza, RV, Scenic, Travel. Bookmark the permalink. Here’s a video of someone driving thru there.